Welcome to LUXE Realty Group, where we believe every client deserves a LUXE experience. Since 2013, Luxe Realty Group has been an unstoppable force in the South Florida real estate market. Driven by results, Luxe has assembled a talented team of industry professionals who can vet just about any deal. Using a powerful combination of technology, experience, and unparalleled dedication to clients, we pride ourselves in providing a breadth of value services from start to finish. Representing buyers and sellers in highly sought-after cities such as Aventura, Highland Lakes, Miami Shores, and Bal Harbour, wherever there is luxury, Luxe Realty Group can be found making client’s real estate dreams a reality. Founded by Lisa Yanowitz, Luxe Realty Group has been a top-producer of luxury real estate in South Florida for over a decade. With an impressive team comprised of professionals with varied industry backgrounds in areas such as sales, marketing, real-estate development, law, finance, and beyond, Luxe is able to counsel clients through any type of transaction and offer significant insight into the volatile market cycles of South Florida. 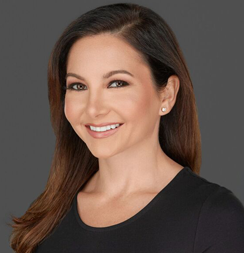 Born and raised in South Florida, Lisa Yanowitz has intense knowledge and experience with all of its vibrant communities, and has negotiated deals from Coral Gables to Delray. This in-depth expertise has allowed her to create a noteworthy roster of top-notch clientele, ranging from well-known athletes, high-net worth individuals, families, and young professionals new to the housing market. Luxe Realty Group utilizes a variety of cutting-edge strategies and techniques including social networking, marketing, and clientele experience in order to give our clients the best real estate experience possible. Whether you are searching for a stunning waterfront condo, a developer looking for the ideal commercial space, or hoping to find the perfect vacation getaway, Luxe Realty Group has you covered. Do yourself a favor and discover how we truly embrace the luxury lifestyle. At Luxe Realty Group, every client is VIP. Get in touch, you won’t be disappointed.